Today’s episode saw Priya and Rochelle fighting once again for the last day’s events. They pointed the bad behaviour of each other. Today, Rochelle got irked by Priya inside the kitchen area itself. Roch told Prince and Keith about her disinterest in getting any piece of advice from Priya. Prince also said that he will not make any contact to her after the show. While eating breakfast, the housemates discussed about Rishabh’s play on last day. Some said that he barely did anything while some said that he played appropriately. Priya defended him saying that he played as per his strategy. After a while, Priya found Rishabh thinking over his strategy and the behavior of other housemates towards and also how he has become the topic of ridicule in there. Priya gave her advice and she asked him to not to think about them as his strategy involved 80% patience and 20% attack and the most important thing is that he is still in game. Later on, big boss came up with the next portion of the ‘Road to Finale’ task. The top 3 contendors of the first part of the game – Prince, Mandana, and Kishwer were asked to step inside the fenced boxes in the garden. They were provided with a buzzer inside the boxes. 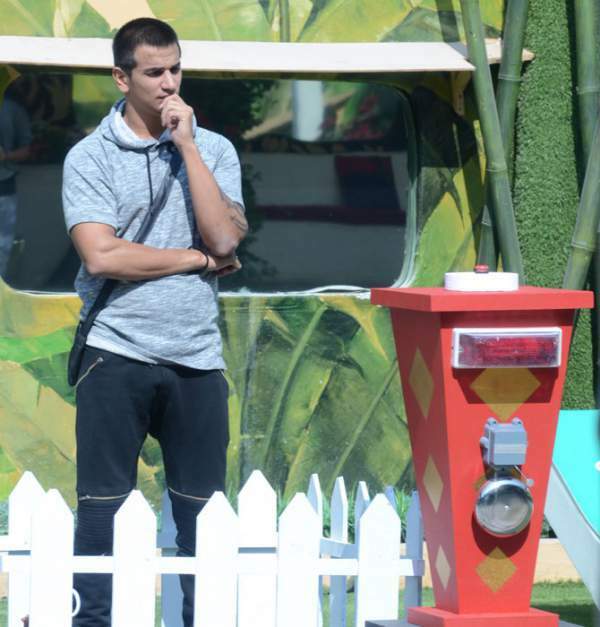 The catch was that the first one to press the buzzer would be disqualified from the task but will be allowed to back. The second person will get Rs. 6 lakh but she/he will have to leave the house. The last person will win the ‘Ticket to Finale’. Mandana got disqualified from the task. After observing for some time, Keith decided to support his friends – Prince and Kishwer as he knew that none of them would leave the chance to slip from their hands. He decided to be present there physically. Priya tried to play a game with Prince by provoking him saying that he had been a bad captain and what all he cares about is just his image. He defended himself by saying that she entered the house after a long back, so she shouldn’t make comments on him. Priya got upset by his statement and she asked him if he meant that she is not considered as an equal contendor for the bb9 title. Mandana too supported the theory of Prince. She said that Priya entered the show mid-way and thus, she wouldn’t be able to match the levels of other contestants. In the evening time, Kishwer shared her views as to why the wild card entrants don’t deserve to reach the finale. On the other hand, both the wildcard contestants hoped that big boss shouldn’t termiate the task based on the contendor’s determination. BB increased the amount from Rs. 6 lakhs to 8 lakhs, after giving a closer observation that none of the three contestants are willing to press the buzzer as they said that they are only 2 weeks away from the grand finale. No one paid heed to the increased amount. They all remained determined to their decision. In the Bigg Boss 9 Day 88 Episode 88 7th January 2016 night, Priya bid them good night and went to sleep while Keith slept there along with Rishabh and Rochelle.